In February 1780, an American force was posted in and around "Young's House," in the town of Mount Pleasant, Westchester County, New York. This force comprised five companies of Connecticut troops under Lieutenant Colonel Joseph Thompson of Massachusetts, Captain Abraham Watson's company of the 3rd Massachusetts, Captain Moses Roberts's company of the 15th Massachusetts, Captain-Lieutenant Michael Farley's company of the 9th Massachusetts, and Captain James Cooper's of the 14th Massachusetts, maybe 450 total. 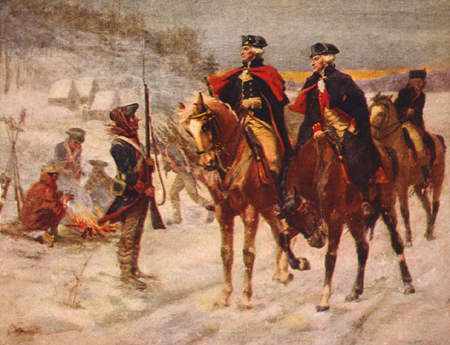 During the night of February 2 a British force composed of the four flank companies of the 1st and 2nd regiments of the Guards, a hundred Hessians, a party of Jagers, some of them mounted, and 40 mounted Westchester Tories of Colonel James De Lancey's regiment, 450 foot soldiers and 100 horsemen in all, commanded by Colonel Norton of the Guards, set out from near Fort Knyphausen (formerly Fort Washington) to attack the post at Young's House. An American sergeant's guard on picket duty fired upon the van of the enemy, but were all captured. Colonel Thompson, having been advised of the enemy's approach, formed his own force in front of the house to withstand them, placing the four other companies on his flanks. 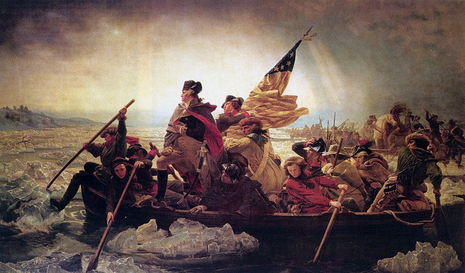 When the British came within gunshot, there was a hot exchange of fire for about fifteen minutes. But Norton flanked the American left and occupied an orchard behind the house. Thus surrounded, the Americans gave way; some took refuge in the house; the rest retreated, pursued by the mounted Tories. The grenadiers of the Guards forced the house, killed or captured all its occupants, and then burned it.